Discussion in 'Guitar Emporium Archive' started by dsigman, Dec 7, 2016. Up for sale is a incredible instrument and one that started my personal deep dive into Ronin guitars. 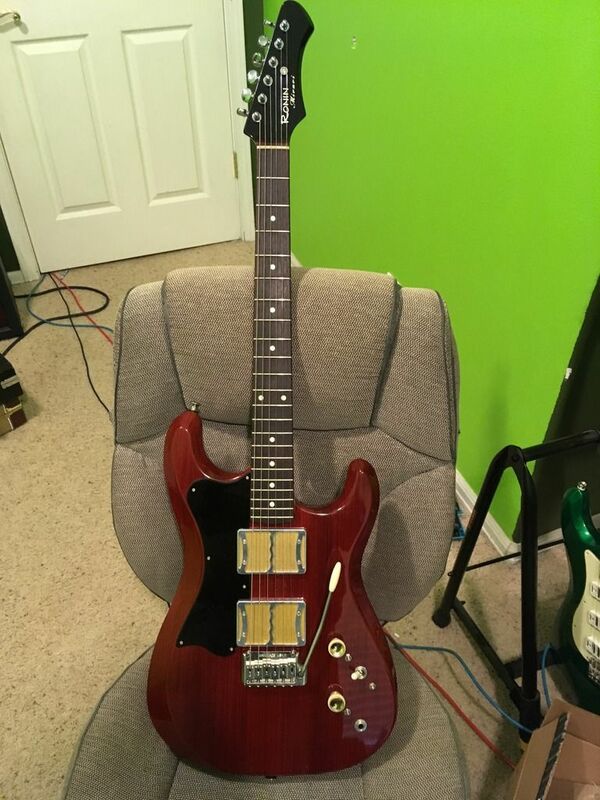 I love this guitar and I am in no hurry to sell but, I am considering letting it go because I could use the cash. I don't think there are too many of these out there with the harp pickup in there also called the magic button. It brings in a very interesting tone that is very musical and a bit more rhythmic akin to a Piezo in my opinion. Every tone that comes from these guitars is more musical than any other guitar I have ever come in contact with. The combination of their custom Foilbuckers and Redwood can not be compared to much else that I have played other than to say. It is maybe what a Filtertron aspires to be, great clarity for chord work like a single coil as well. They stand up incredibly well to gain as well. It is still in incredible shape overall with no significant dings. I am looking to get SOLD including shipping and paypal fees. 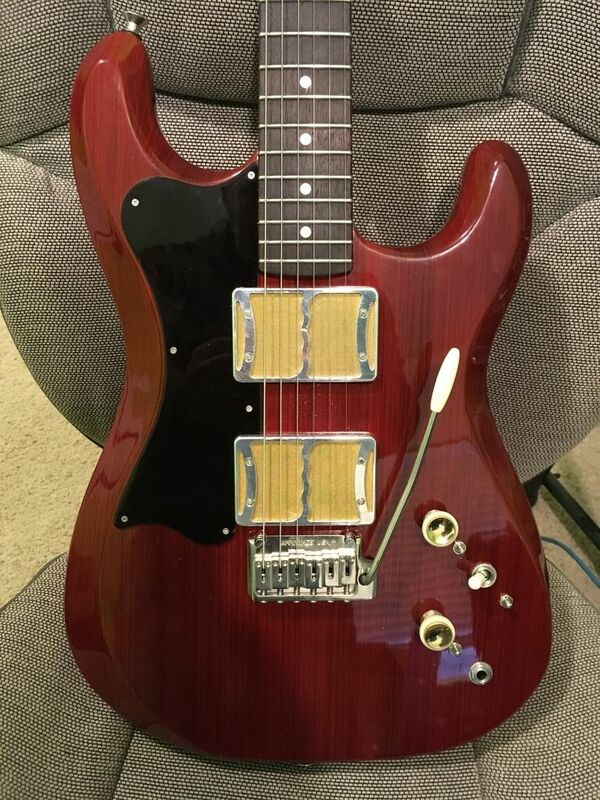 I might consider partial trades for a Suhr Modern, Kauer Dayligher or Starliner, PRS DGT or 594, possibly something semi hollow with a decent size neck. 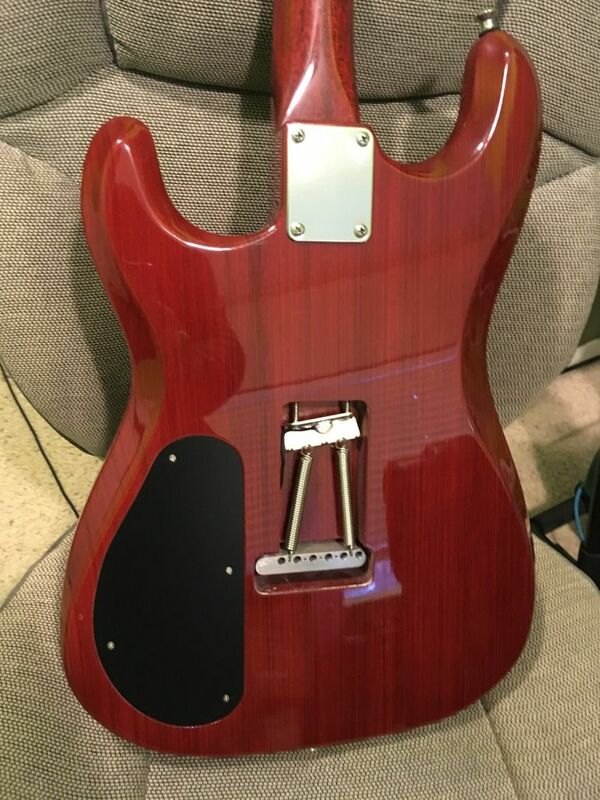 I might consider a super strat if it has a decent sized neck on it. Let me know what you might be looking to trade and I will consider it.